The AIRE Kayak Cheetah Chair is adjustable to fit nearly any inflatable kayak. The Cheetah Chair has a stiff backpad for excellent back support. It also allows for more storage area or leg room between seats on tandem kayaks. There's a roomy zippered mesh pocket on the back of the seat and a water bottle holder. 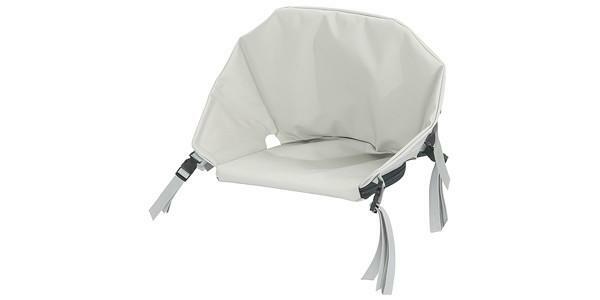 This chair can be used in either AIRE or NRS inflatable kayaks. Take it out of the boat for an excellent camp chair. Watch the attached video for installation instructions. The straps shown attaching to AIRE IK cargo loops can also be looped through drain holes on other IKs. Includes: Zippered storage bag and water bottle holder on back of seat.